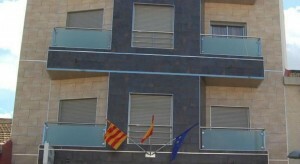 Almoradi Holiday Rentals available in Almoradi on the northern side of the Segura River, southern Costa Blanca. Almoradi is a typical Spanish town and offering a taste of the real Spain, with much of it’s inherent culture and tradition retained. Bed&Breakfast Casa Beli 5 ` Olmet, 72, Almoradí Score from 8 reviews: Exceptional 9.9 Latest booking:from Spain info Rentals Featuring a shared swimming pool and free Wi-Fi, Bed&Breakfast Casa Beli is located in Almoradí, 30 minutes by car from Torrevieja. Spain info Rentals in Almoradi Costa Blanca. 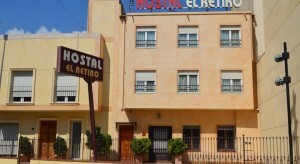 Spain info Rentals in Almoradi Holiday Costa Blanca Hostal El Retiro ` Avenida Doctor Marañón,11, Almoradí Score from 39 reviews: Very good 8.3 Latest booking: from Spain info Rentals Hostal El Retiro is located in Almoradi, 15 minutes’ drive from Guardamar and 20 km from Torrevieja and the beaches on the Mediterranean coast. Spain info Rentals in Almoradi Holiday Costa Blanca Hotel Almoradi ` Avenida Orihuela, 3 , Almoradí Score from 25 reviews: 6.8 Latest booking: from Spain info Rentals 11 hours ago This hotel is located in Almoradi, 17 km from Torrevieja and the beautiful beaches on the Mediterranean Coast. This beautiful villa with private swimming pool is located on the Costa Blanca in Daya Nueva in the Vega Baja (Alicante). The house is charmingly furnished with rural accents. There’s everything for a marvellous holiday! Through the apartment in the residence. the villa offers complete privacy for a holiday with family or friends. but you can also spend time together. Around the entire holiday home there are (sun) terraces so you can follow the sun and never miss a sunbeam. The barbeque assures that you can eat with family and friends. Through the rural location in the middle of citrus plantations. you can enjoy the peace and quiet. but also find some action. You can enjoy the local specialities in authentic restaurants and bars in the area. A car is recommended. The resort of Guardamar del Seguro is located only 12 km away. 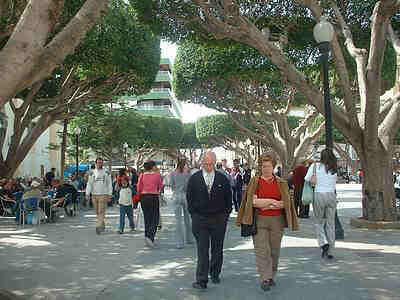 You can go for a walk through the shopping streets of Almoradi (3 km) of Torrevieja (20 km). A day trip to the animal park in Elche (20 km) is also possible. The villa is in a central location for the golf courses of Ciudad Quesada/Rojales and Algorfa. In Almoradi there is a church and town square shaded by trees, where local people relax and have a drink. The square is a real social meeting place for people of all ages to congregate. There are approx 50 bars, café’s and restaurants (including Spanish, British & Irish) all within minutes walk from the apartment and on a Saturday the town hosts a local market with fresh food and local wares. For a light bite I recommend Cafe Vienna on Calle San Emigdio, for great value. For an early morning cafe con leche join the throngs of locals in cafe Tropicana on Calle Cervantes. For great tapas try Angel bar on Calle Pablo Picasso and for a great steak and a bit of Irish banter try Redz bar & restaurant on Calle Canalejas. If you are looking for live music try the Greenhouse on Calle Mayor between Bar Elite and the Welsh bar, the Red Dragon. 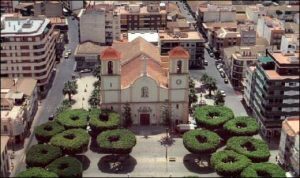 Almoradí is a town and municipality located in the comarca of Vega Baja del Segura, in the province of Alicante, Spain, close to the mouth of the river Segura. 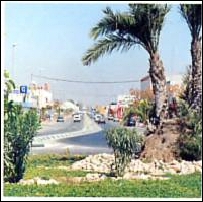 Almoradí has an area of 42.7 km² and, according to the 2008 census, a total population of 18,536 inhabitants. 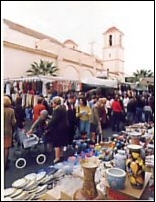 The economy of Almoradí is mainly based on agriculture. The most important monuments in the city are the Ancient Hospital and the mill of Alfeitamí. In recent times there has been increased interest in the town. This has mainly come from residential tourists who are attracted by the relatively low prices (for the region), or ex-pats looking for a taste of real Spain. It has to be said Almoradi does offer something a little different from that of many of coastal towns; it is quieter, & has retained much of its inherent culture & tradition. There are many fiestas (festivals) throughout Almoradi’s calendar, some of which are a real spectacle & well worth a look. Almoradi boasts a thriving, bustling traditional market every Saturday morning. If that’s not enough for you, you will also find Dolores holds a market every Friday morning and Catral holds one every Saturday morning . Almoradi is also well known for its mild climate & the entire region enjoys sunshine for in excess of 320 days per year. The sun is at its hottest during the summer months, with temperatures rarely falling below 30°C (86°F). Winters are typically very mild with averages hovering around 18°C (64°F). spain info Rentals Almoradi for large villas, spain info Rentals Almoradi for large parties, spain info Rentals Almoradi for large wedding parties, spain info Rentals Almoradi reunions, spain info Rentals Almoradi for any special gatherings, spain info Rentals Almoradi for school reunions,Spain info Rentals in Almoradi Costa Blanca.